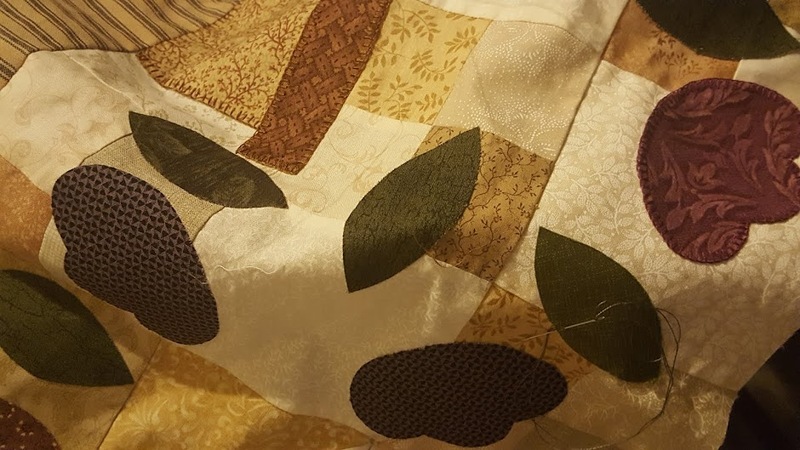 Country Quilts and Dolls: Cold Weather and a quilt top finish - almost!! It's been so cold here - but there's similar stories from all over eastern Australia. Tonight we were at a friend's 60th birthday party - very pleasant evening for company, but starting to get cold when we left. Went to Homespun and Beautiful this morning and worked on my quilt top - I'm so happy with the way the colours are coming. Just one more border and I'll have the top complete. We're mitring the borders - another fool proof way of doing things. Last lesson we learnt a great way to make flying geese blocks. It's been a wonderful course. I'll try to get some pictures up tomorrow. I'm also hoping to get the top finished and quilting started. It's been a busy weekend - with my daughter going to see the ballet "Little Mermaid", attending an information session about auditions for Sound of Music which our local theatre group is staging in November - and know, not for me, but have two children interested. Then we had the party tonight and on Monday my second son is in Rock Eisteddfod and they are rehearsing all day and I'll be getting my next consignment of costumes to complete. But tomorrow is for quilting - and with the rain supposedly setting in, can't think of a better way to spend it. Sounds like you're moving right along on your quilt. Enjoy your day quilting tomorrow!